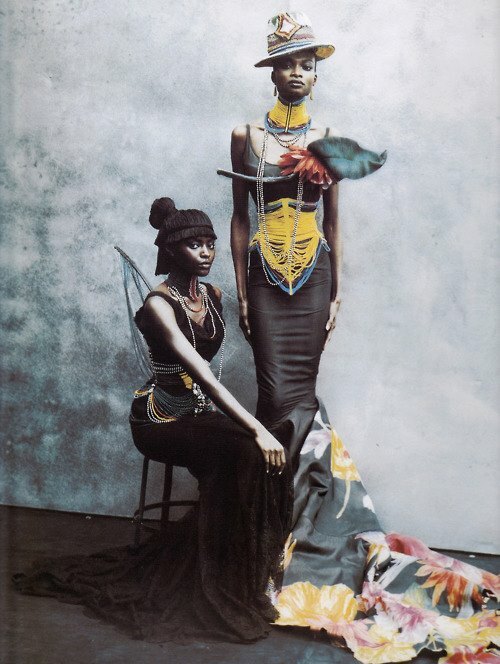 While perusing for ideas, I came across these gorgeous images relating to fashion, from the African diaspora. The colours are simply stunning, which causes the images to simply pop from the page. I’m totally loving the dress above. 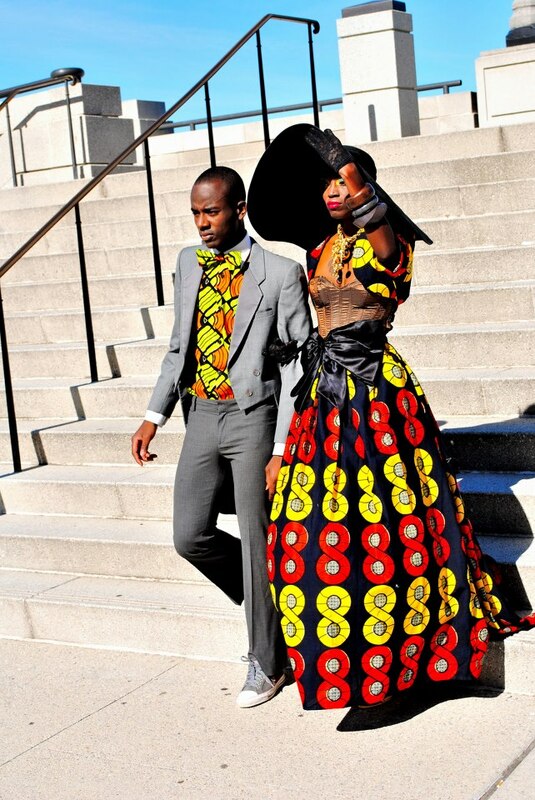 This couple looks like they just got married at city hall and are now about to paint the town every colour under the sun. There are many wonderful designers coming out of the African continent, it’s time they had more of a visual presence throughout the fashion industry. We need more of these fashions readily available to us here in the States. If you design gorgeous garments, jewelry and/or accessories, please contact me at lana@maylana.com; I’d love to feature you on this blog. See my blog post “Where Do You Sika” featuring designs by Phyllis Taylor the owner of Sika Designs, who is of Ghanaian descent and is based in London. Click here. This is a repost of a previously writtien article. Quite a few people on Twitter and Instagram loved this particular piece, and asked me to repost; so here it is. Happy Hump Day to all my fabulous bombshells! 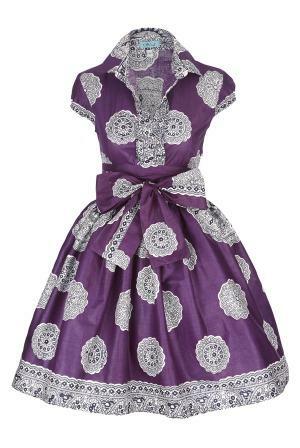 For my birthday a couple of years ago, my sister Althea, bought me the most gorgeous 1950’s style dress,with an African twist. Designed by a wonderful designer named Phyllis Taylor in London, who is the owner of a beautiful little shop named Sika Designs in South London. I have been hooked on Sika dresses ever since, I wish she had a store here (sigh). Ms. Taylor who is of Ghanaian heritage creates her designs in London, which are then beautifully constructed with couture worthy stitching in Ghana; using genuine African fabric. Sika dresses are statement pieces onto themselves, with their full skirts and layered petticoats (purchased separately) worn underneath. A wide sash belt tied into a bow is the finishing touch on most dresses, you can’t help but be noticed. 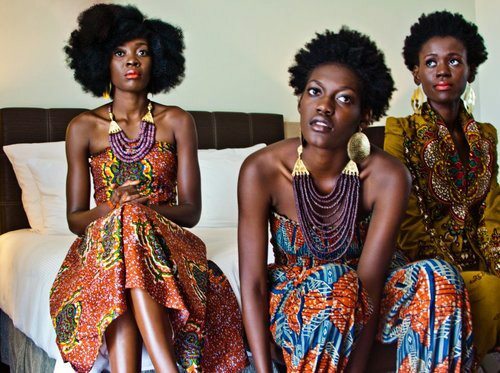 For me Sika dresses are “Mad Men” comes to Africa! I would post a pic of me in my dress, but the quality of the photo once uploaded was blurry and not blog worthy. I’ll take another pic soon. Browsing through my favourite shopping site, Etsy, I came across this darling little shop by the name of Quistt. Quistt sells a wonderful array of adorable clutch bags and small accessories. The owner, Patricia Quist -Therson, a native of Ghana studied Architecture at the New Jersey Institute of Technology. However, her passion for fashion, moved her to design her own line of accessories. 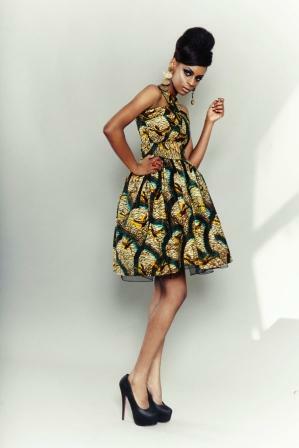 You can see her African influence and architectural training shining through her designs. I’m loving her wooden handled striped clutch which is in line with the bold print themes floating around this year. Visit Patricia’s Etsy shop @ http://www.etsy.com/shop/Quistt?ref=seller_info I think you’ll love what you see. As a small business owner myself, I am all about supporting and promoting women-owned businesses. 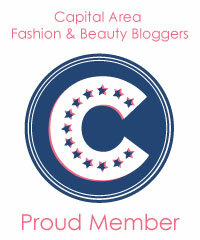 Ladies, let’s get out there and support each other, we have no problem buying from our favourite high-end fashion stores; and there is nothing wrong with that, but take a look at what your small independently owned boutique has to offer, you’d be amazed at the quality workmanship you’ll find there. Every Saturday is “Small Business Saturday” where you should go out and buy at least 1 item from an independently owned business. We need you.